If there is a series on the line and India needs to chase a score, you can’t keep Virat away from the pitch. 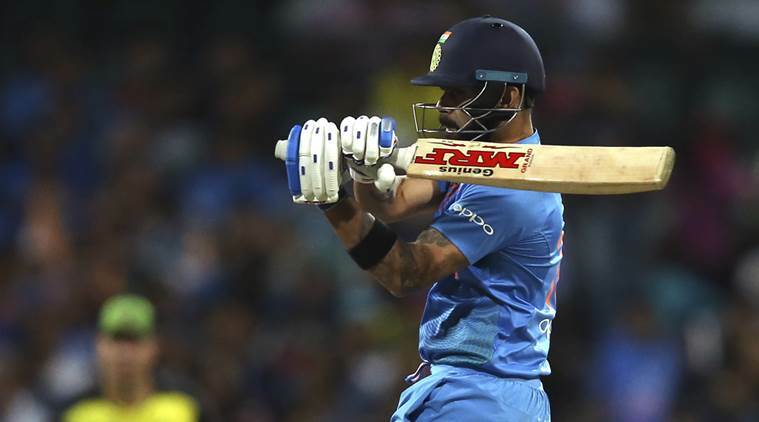 Virat, yet again, took India to a commanding win against the Aussies to level the T20 series 1 – 1. After the rain affected match at MCG, India stared at an, off late, unfamiliar situation of having to avoid a series defeat in T20. SCG was the beautiful setting where India had to stare at the situation in the eye and ensure their unblemished recent series record stayed intact. The SCG pitch looked a good batting pitch albeit on the slower side. The SCG stadium was bathed in Blue, with Indian team supporters outstripping the local supporters. Australia won the toss and elected to bat first. Australia brought in Mitchell Starc, their leading fast bowler, in the place of Beherendoff. India played the same team as the rest of the series. Short and Finch got the Aussies off to a good start. Bhuvi and Khaleel struggled to get the length right on this slowish pitch. Khaleel was guilty of being too short for his pace and got hit by Finch repeatedly. At the end of the powerplay, Aussies reached 49 runs without the loss of a wicket. The terrible fielding that India displayed during this period was pitiable at best. Dropped catch and misfield by otherwise reliable fielders like Rohit and KL, made it look like India were still jetlagged. The slowness of the pitch indicated that the spinners will have a big role to play in slowing the run scoring and picking up the odd wicket. So, Virat brought in his best bowler, Kuldeep and reined in the Aussies a bit. However, Krunal,on the other hand, got off to an ordinary start as he bowled fast and flat. Krunal gave away 12 runs off his first over. Thankfully for India, Krunal learnt from his mistake and came back to bowl a bit slow and with a bit of loop. He provided couple of important breakthroughs by dismissing Short and McDermott off successive deliveries. Every time Krunal bowled a bit slower, the ball turned a little and kept the Aussies down. Carey, the Aussie wicket keeper, kept the run scoring up with good cricketing shots. Australia, however, looked to be in a bit of trouble at 107/4 at the end of 15 overs. Stoinis, Lynn and Coulter-Nile played smart cricket in the last five overs and scored important runs to take the Aussies to 164 runs. Coulter-Nile’s awe-inspiring dive to complete the second run was the highlight of the death overs. At the end, Australia set a target of 165 to India. Krunal finished with 4 wickets for 46 runs. There was no rain forecast. Rohit and Shikar came in to bat with the right attitude. After playing out Starc’s first over watchfully, Shikar and Rohit launched into the Australian attack. Shikar was in sublime form and his cover drives and pull shots off Coulter-Nile and Stoinis, stood out. Rohit chipped in with his trademark pull shot for a six. The openers ratcheted up 62 runs off the first 5 overs. Finch turned to his best bowler, Starc, to separate the openers. Dhawan continued his merry ways and played a gorgeous cover drive off a 149 kmph screamer from Starc. Starc came back and bowled a fast full length delivery, which hit Shikar’s leg even before he could bring his bat to hit it. DRS declared Dhawan LBW, much to the chagrin of Sunil Gavaskar in the commentary box! Once the opening pair was separated, Finch turned to his spinners Adam Zampa and Glenn Maxwell to keep the Indian scoring down. Zampa bowled a beautiful first over and bamboozled Rohit with his flipper.It is not often does one bowl a maiden wicket over in a T20 match. Zampa did it on this occasion, that too against the Indian top order! Maxwell played his part on the other side very well, keeping a tight leash on KL Rahul and Virat. Both these Indian stars looked a bit out of touch initially. KL,in particular, struggled to score freely, except for a six that he hit off the fast bowler. Even Virat was a bit slow at the start of his innings. The pressure told on the Indian batsmen as they slowed down to 102/2 at the end of 12 over after being 62 for no loss at the end of 5 overs. Something had to give! India lost two quick wickets, those of KL and Pant and ended up at 109/4 at the end of 14 overs. Dinesh Karthik joined Virat and their work was cut out, needing to score at more than 10 runs an over. At one point, when Dhawan was batting, I thought India would win by the 15th over! Talk of the glorious uncertainties of the game. Karthik struggled to score at the start against Zampa. However, captain Kohli, came to the party at the right time for India. Virat started to find his touch and scored freely against the fast bowlers. He did not miss out on scoring against the spin of Maxwell either. The six that he hit off Maxwell over mid-wicket, was the stand out shot in this period. Once, Virat and Karthik got going, the end result was a formality. Virat and Karthik hit boundaries at will and the required rate plummeted to run a ball in the last over. Tye, with a couple of dot balls in the last over, tried to inject some drama into the chase. 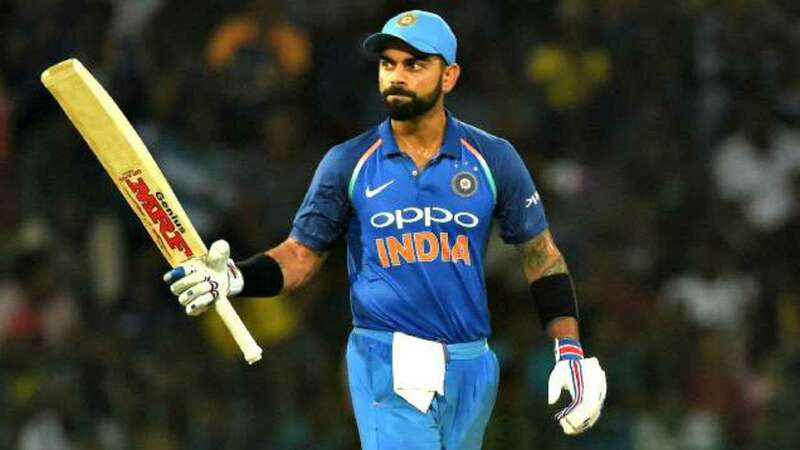 But Virat snuffed any such drama with consecutive boundaries to finish the match and take India home. The series ended level 1 – 1.